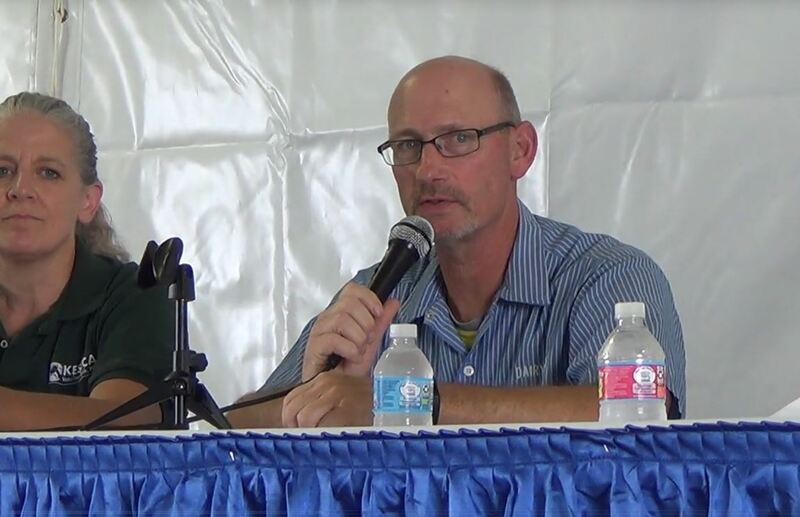 Dr. Robert James, PhD., spoke about calf housing systems. According to Dr. James, a successful housing system should deliver nutrition accurately and consistently as well as enable the calf’s transition to dry feeds. They should also be easy to clean and sanitize, be dry, provide excellent air quality, and allow the caregivers to do their jobs efficiently and effectively. The fundamentals of good calf nutrition include a high quality liquid diet, small but frequent meals, large volume of liquids early in life, and clean, low bacteria milk or milk replacer. Dr. James favors individual calf housing systems for the way they separate calves and discourage sucking on each other, nose-to-nose contact, and eating each other’s food – although some of these systems actually fail at this. “One of the real advantages of the individual system is that we can monitor intakes of milk replacer, milk, water and starter by individual calves,” said Dr. James. There are several individual housing options to choose from. Calf hutches are the “gold standard” of individual calf housing systems. These may be made of wood, plastic or steel and offer shade, protection from the elements and means of providing the liquid diet, starter and water. There are many variations of this housing type with either fences or restraining calves with chains and collars. More intensive systems are elevated stalls which allow for a high level of labor efficiency. However, these systems are more appropriate for warmer environments as they greatly increase the calf’s nutritional requirements for maintenance during cold weather. Cold or warm housing systems with individual, three-sided pens can also be constructed using plastic, metal or wood. Intensive individual calf housing systems may include curtain sidewalls, positive pressure tubes for ventilation and deep bedding. When choosing an individual housing system, Dr. James advised to consider the following: initial and annual cost; environment for the calf – including sanitation, air quality and nutritional maintenance cost; and labor effectiveness and efficiency. A study of New York calf raising facilities found extreme differences in labor costs in feeding calves depending upon the facility type. As previously mentioned, every housing system comes with challenges. For individual housing systems, labor, sanitation and nutrition delivery can present challenges to a successful calf feeding operation. Dr. James noted that delivering water, milk and feed in individual housing systems involves a high degree of labor every day, especially if you need to reach into the hutch to replenish the feed and water. In Dr. James’ experience, individual housing systems should provide separate buckets for the water and milk or milk replacer. Using the same one encourages bacterial growth when water is added to the milk residue from the previous feeding. The water bucket should be separated from the starter bucket to prevent cross contamination, which can result in spoiled starter and starter in the water bucket. Although wood hutches or pens may be lower cost they are nearly impossible to clean and sanitize compared to steel or plastic. According to guidelines provided by the Dairy Calf and Heifer Association (DCHA), a calf should double her birth weight by 56 days. The percentage of solids a calf receives in a milk or milk replacer feeding should be kept between 12.5 to 14 percent with a feeding frequency of at least two to three times per day. Calves can be fed by bottle or bucket in individual housing systems. Bottles can be filled accurately and fed quickly. Bucket feeding is much slower and volume consistency is not good, but it does offer some flexibility in the amount you can feed at any given time. Dr. James recommends agitators for tanks used for delivering milk to buckets to discourage separation of fat from the milk. This is a problem if daily milk feeding takes more than 30 minutes to one hour. Also, he noted some calves may drink too quickly from a bucket, leading to potential digestive upsets caused from large amounts of milk entering the rumen. An automated, rail-mounted system for feeding calves individually is available and more popular in Canada and Europe. This system gives a calf raiser the ability to develop and deploy a feeding plan while capturing feeding information like drinking speed and daily intake. Dr. James warns against weaning calves in one day and encourages weaning over the course of 10 to 14 days. He also stresses the importance of the social transition during weaning, in addition to the changes in nutrition and digestion. There is a lot of new research available supporting group calf housing systems. Calves are social animals, therefore they take cues from each other (leading to faster starter intake), and they’re more calm and less vocal in groups. 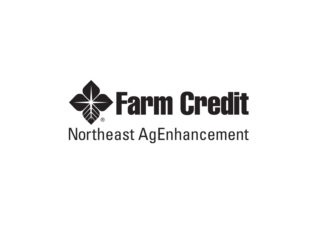 Other benefits include the opportunity for higher daily liquid feeding rates with smaller meal sizes, labor efficiency in some systems, improved working conditions and more positive consumer perceptions. There are a few basic options for feeding calves in a group environment. Mob feeders, like barrels or trailers, can be used but make it hard to monitor intakes and maintain high levels of sanitation. Bar feeders are another option, but again, it’s difficult to monitor intake. These types of feeders can also create a stressful environment in which calves are “trained” to consume their diet rapidly over short periods of time. Acidified free choice milk, made popular by Canadian dairy farms, is when formic acid is added to “waste” milk to reduce the pH to approximately 4.2 to 4.5. Pre-acidified milk replacers are also available which encourage greater uniformity in the nutritional and acid content. Acidified milk restricts bacteria growth but it doesn’t pasteurize it. 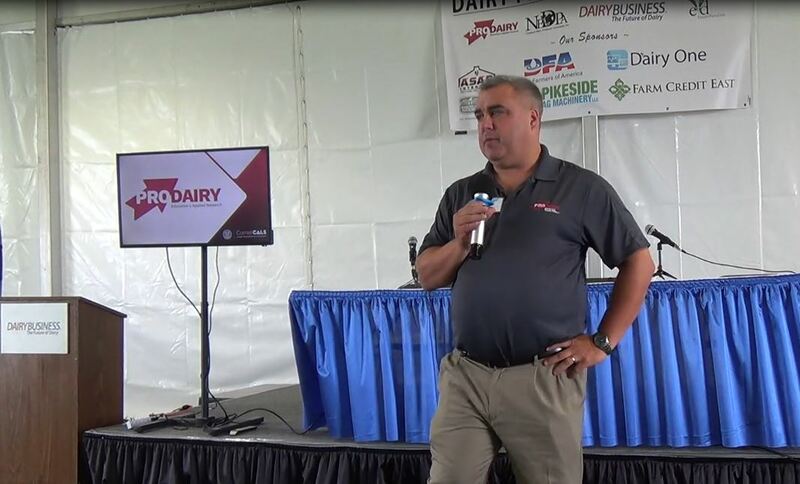 Dr. James noted that formic acid is dangerous to handle – it’s illegal in the U.S. It’s also not palatable for the youngest calves, however they seem to rapidly adjust to the taste and will consume large quantities when fed free choice. This can make weaning to solid feeds a challenge. 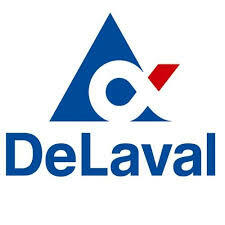 Automated calf feeders, like the one offered by DeLaval, feed calves in a “more biologically normal” manner – more milk per day by feeding more, smaller meals per day. They also improve labor conditions by eliminating the need for mixing and washing bottles or buckets and cleaning individual pens. Now the “calf manager” can use the data collected by the automated calf feeder, like drinking speed and daily intake, to better monitor calf behavior and possibly detect illness sooner. Automated calf feeders may better capture the genetic potential of calves as they have the ability to provide more milk in more frequent liquid meals, which is essential early in a calf’s life. Feeding electronically gives the added advantage of consistency of solids, protein and fat, as well as the option to include additives in the milk. In general, automatic calf feeders feature electronic identification of calves, on-demand milk dispensing, the ability to design feeding plans, management information to assist with disease detection, and automatic or semi-automatic cleaning. 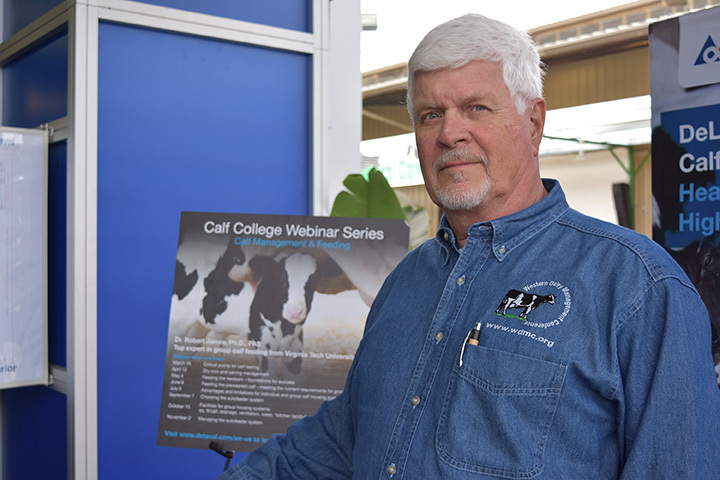 Dr. James said he would cover more about automated calf feeding in upcoming webinars. The most effective group feeding, of course, requires excellent maternity and calf management right from the start. Dr. James stressed the need for effective colostrum management. It is essential to deliver high quality, clean colostrum to calves put in groups for immunity building and overall health. A commitment to the nutrient requirements for desired average daily gains; offering palatable starter; testing water quality twice a year; and providing clean, dry and well-ventilated accommodations are all pillars of successful group housing systems. 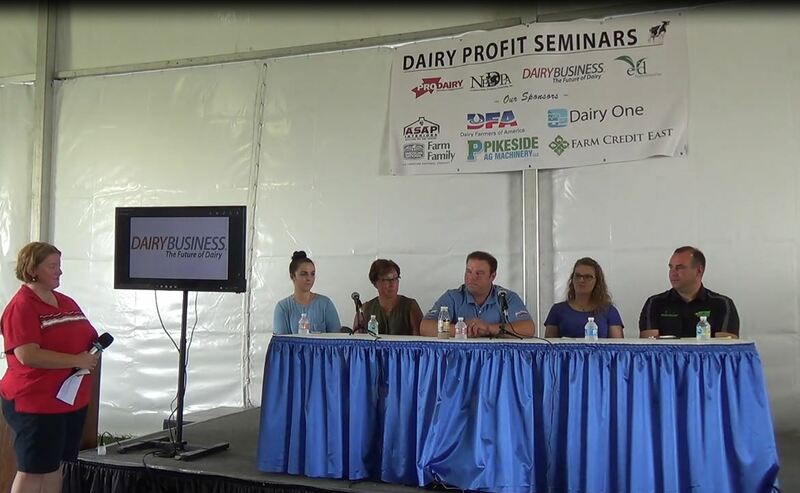 Watch and listen to the entire July 6 webinar – or visit the DeLaval Calf College web page to access other previously recorded webinars. You can register now for the next free webinar on Friday, Sept. 7 at 1 p.m. CDT, which will cover choosing the calf feeder system.